Dashboards! We are now able to create a dashboard (or multiple dashboards) for you and share them with the users in your account. 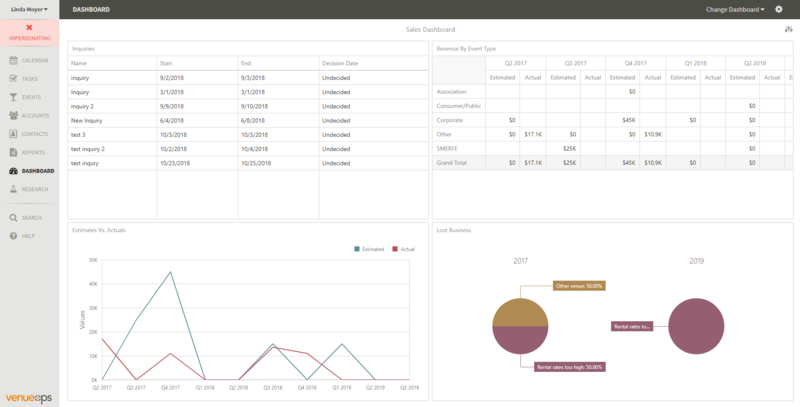 Dashboards are built on the same reporting engine as Insights Reports, so any information which can be reported on can now be displayed as a chart, graph, or list. Are you interested? Contact us at success@eventbooking.com. You are now able to assign permission to access account and event documents by user role. Please note that existing documents have been assigned to all roles - access will not change due to this release. More information is available here. Admin users are also now the only users who can enable iCal for calendar views. If the view is shared, other users will be able to access the iCal link -- but it takes an admin to make that link accessible. 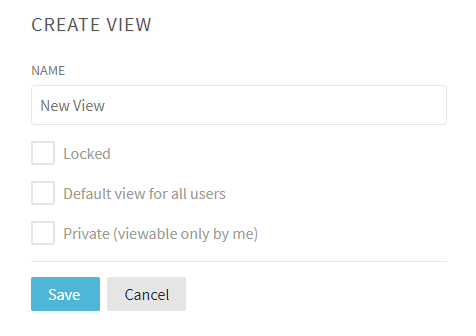 All users are able to create private or shared views (views are private by default). These views cannot be locked, though, so if you share a view with other users they could make changes to it. Please note! Any existing views do not have an "owner" in the system, so you won't be able to make them private - private views are visible only to the owner, and without an owner they would just disappear. We're sure that many of you will want your users to "claim" their views and make them private to clean up your list of views. All you need to do is load the saved view, create a new private view (it will take the settings of the old view), and then remove the original un-owned view. We've put these instructions in the edit menu of any views without any owner. More info and a short video are available here. 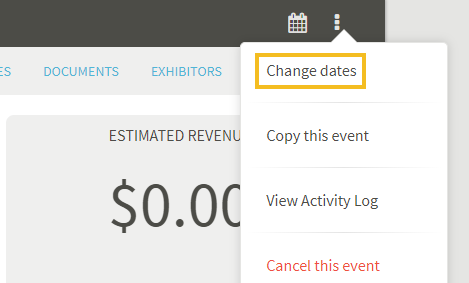 We've redesigned the contracting tab on the event details page. You'll still be able to follow the workflow and get all the prompts to set reminders, etc., but the UI will not change based on contract status. You'll also be able to set the contract status outside of the workflow. We've added an article outlining the complete contracting workflow here. We have removed the Director of Events and Director of Catering roles. 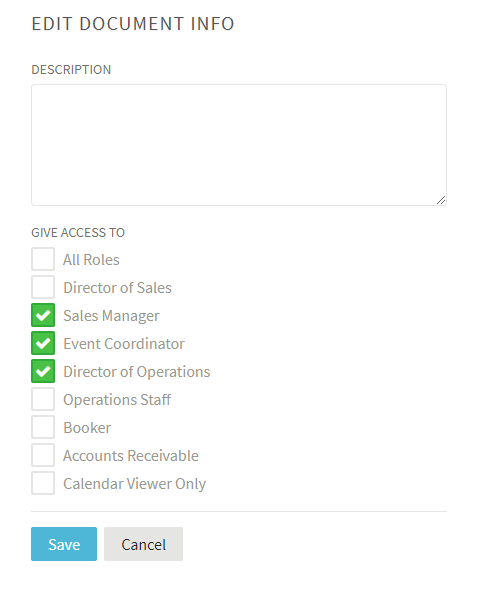 Since we launched custom staff assignments, these roles did not have any permissions different from the Event Coordinator or Sales Manager roles. Because we've added document permissions by roles, we thought it best to clean up the roles list before that launched. Any user who had the Director of Events role will now have the Event Coordinator role. Any user who had the Director of Catering role will now have the Sales Manager role. We've updated the format and added additional information to all our email notifications. We've also added a new notification for "any inquiry created". When you send a contract to the director of sales for approval, we'll prompt you to add a task for the director of sales. Be sure your director turns on the Task Assigned to Me notification! We've updated the contract approval workflow article here with this information. Operations users can now access the Reports page. In the right column, they will not see the Aging Report or Event Charges export. In the left column, they'll see the reports the Insights Admin shares with them. 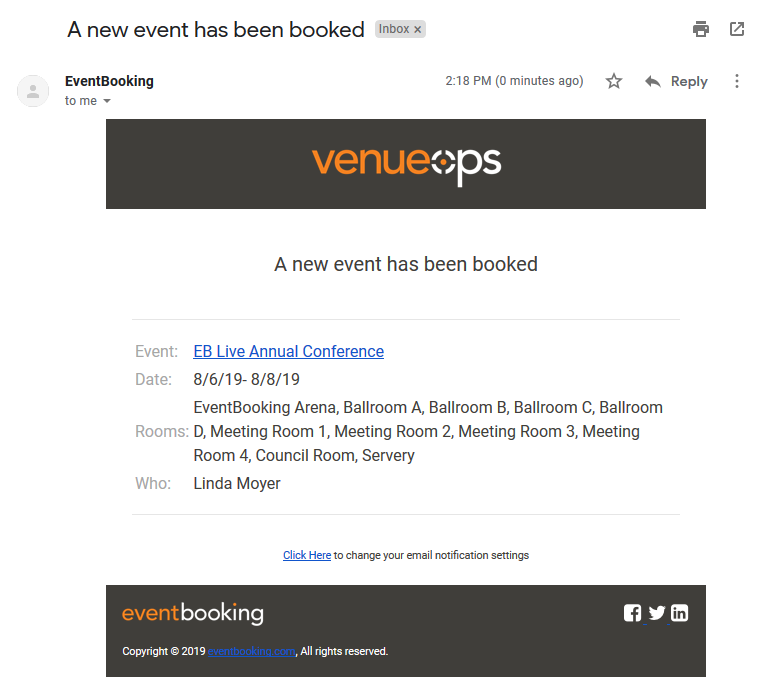 Users may now download event orders for an event from the calendar summary slider - while anyone (except Calendar Viewer Only) can use this feature, we built it for Ops. 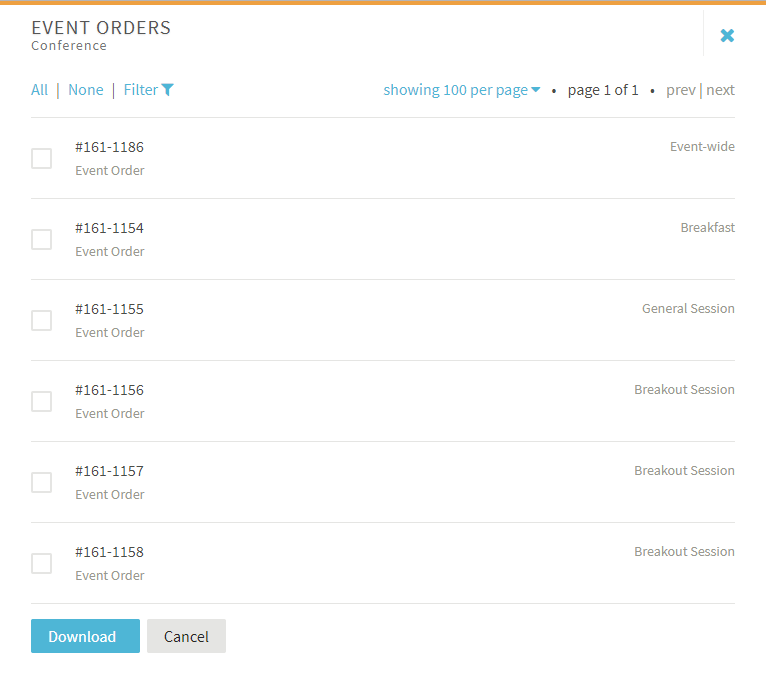 In the event's summary slider you'll be able to filter by date and room and download a PDF of the selected event orders for the event. Step by step instructions are available here. And coming in our next release - a paperless daily view! Stay tuned. If you update the payment or credit allocations on an invoice, you'll be prompted to regenerate the invoice document even if it's already been sent. You'll also be able to resend the invoice without having to mark it as not sent. In addition to an estimated attendance field there is now an actual attendance field. You'll see that on the event details overview page. Click the box to edit both actual and estimated attendance (instructions available here). You are now able to change the dates of inquiries. This option is on the event details page in the more info menu in the upper right. On rooms, we've updated square footage to area for our metric users. Event Orders on the event order tab are sorted by date and time. Insights Reports now support globalized currency formats. As an Insights Admin, you can now see who last ran a report and how many times a report has been run. This will be tracked from the time of this release. When you merged accounts, the account merger was incorrectly re-assigning the event's account if the event was associated with the account via a contact (it wasn't the contracting/primary account for the event). Account documents were not kept when merging accounts. We've updated the account merge warning message to make it clearer which account is the destination account, and also to list all information which is being kept from both accounts. The task description was stripping out extra spaces, so if (for example) you wanted to indent by adding spaces, those spaces would be removed. The event's venue was not updated if the rooms were moved (by the admin) to a different venue. You can now copy inquiries. When emailing proposals and contracts, the documents were sent with a generic name (proposal or contract) rather than the actual document name. Recently we allowed you to create a function in a member room of a combo, when the combo is booked on the event. We had to update the function copier for this - it wasn't seeing the member/combo relationship and wasn't allowing you to copy those functions. If a user had both the Event Coordinator and Calendar Viewer Only roles, they weren't able to access all of the event coordinator features. We were hitting some file size limits with the task digest emails (mainly with migrated accounts who had hundreds of overdue tasks). We've changed the way those emails are handled so this won't be an issue. Long event names get truncated on the calendar. We've added an on-hover to both the calendar and the summary slider so you're able to see the full event name.